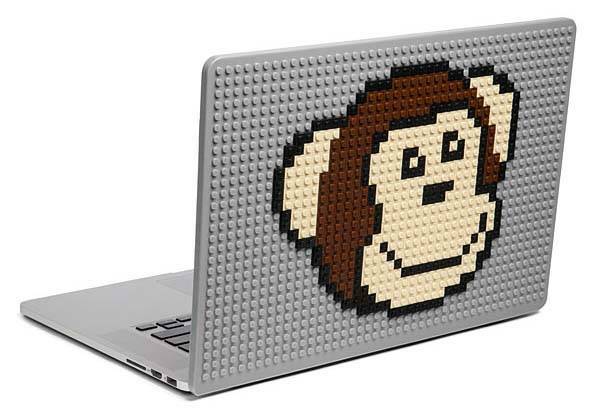 Brik Books Build-On MacBook cover is compatible with your favorite LEGO bricks, which allows you to add your own style to your MacBook. Like the idea? Let’s keep checking. 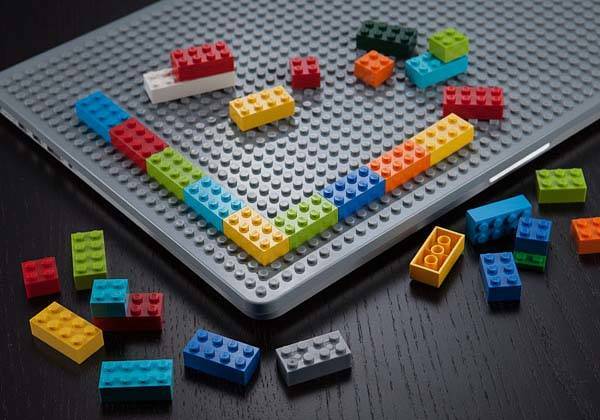 The Brik Books Build-On MacBook cover is inspired by those popular building blocks including LEGO, Mega Bloks, and KRE-O, and it comes in four sizes for 11″ and 13″ MacBook Air models and 13″ and 15″ MacBook Pro models. As we can see from the images, the protective cover looks like a huge plate base covered on MacBook, so you can design various 8-bit patterns for your MacBook with your favorite building bricks in order to shows off your unlimited creativity, but note that you need to remove the cover from MacBook before adding or removing bricks. The MacBook cover also protects your precious MacBook from scratches, and you can easily snap it on or off your MacBook without needing any adhesive. Moreover, your thin brick design slides in and out of your bag without losing building bricks. The Brik Books Build-On MacBook cover is priced at $59.99 USD. If you’re interested, jump to Amazon (for 15″ MacBook Air) for its more details. BTW, also don’t miss LEGO Builder iPhone 6/6 Plus cases and more related cool stuff by following tags.